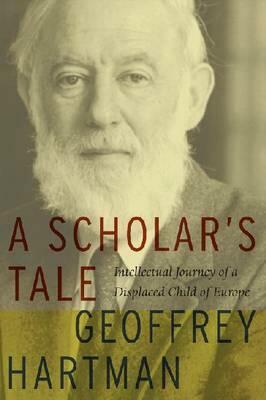 For more than fifty years, Geoffrey Hartman has been a pivotal figure in the humanities. In his first book, in 1954, he helped establish the study of Romanticism as key to the problems of modernity. Later, his writings were crucial to the explosive developments in literary theory in the late seventies, and he was a pioneer in Jewish studies, trauma studies, and studies of the Holocaust. At Yale, he was a founder of its Judaic Studies program, as well as of the first major video archive for Holocaust testimonies. Generations of students have benefited from Hartman's generosity, his penetrating and incisive questioning, the wizardry of his close reading, and his sense that the work of a literary scholar, no less than that of an artist, is a creative act. All these qualities shine forth in this intellectual memoir, which will stand as his autobiography. Hartman describes his early education, uncanny sense of vocation, and development as a literary scholar and cultural critic. He looks back at how his career was influenced by his experience, at the age of nine, of being a refugee from Nazi Germany in the Kindertransport. He spent the next six years at school in England, where he developed his love of English literature and the English countryside, before leaving to join his mother in America. Hartman treats us to a "biobibliography" of his engagements with the major trends in literary criticism. He covers the exciting period at Yale handled so controversially by the media and gives us vivid portraits, in particular, of Harold Bloom, Paul de Man, and Jacques Derrida. All this is set in the context of his gradual self-awareness of what scholarship implies and how his personal displacements strengthened his calling to mediate between European and American literary cultures. Anyone looking for a rich, intelligible account of the last half-century of combative literary studies will want to read Geoffrey Hartman's unapologetic scholar's tale.